AAA Finance and Insurance provides quick and easy horse float finance. When transporting horses, a quality horse float is essential for the safety of your horses and for your peace of mind. Horse floats come in many different shapes and sizes and can include the comforts of home with separate living areas. AAA Finance and Insurance can help finance everything from straight loads, angles loads, goose neck trailers and campers to the ultimate custom built horse float to suit all your needs. Most importantly, horse float loans from AAA Finance and Insurance cover both personal and commercial uses. Whether you want to embrace the outdoors on the weekend in your own time or need a horse float to keep your business running, there’s a AAA solution that can be tailored to your needs. What can I buy with a horse float loan from AAA? AAA Finance and Insurance can help you purchase all types of horse floats. Straight loads, angle loads, gooseneck trailers and campers to custom built horse floats. Privately or from a dealer. For private or business use. We have access to a wide range of lenders so that we can match the best finance solution to suit your individual circumstances. Quick and easy finance approval process online or over the phone. Consumer or secured horse float loans for personal use. Chattel Mortgages for business use. Flexible horse float finance packages. Quick finance approvals – most loans are approved in 24 to 48 hours. 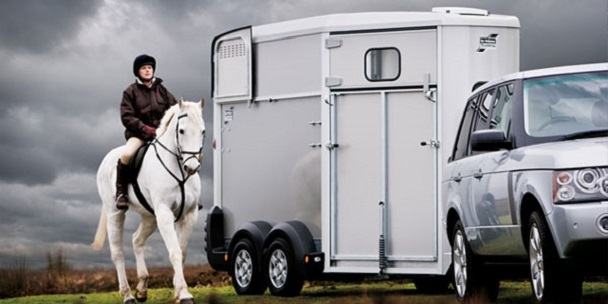 Whatever your requirements, we have a horse float finance option to suit your needs. Not sure what type of horse float will suit you? Get a pre-approved horse float loan today. A pre-approved loan has its advantages. Firstly you can shop within your budget knowing you have the funds approved. Secondly, it can provide you with more negotiation power when sealing the deal. Our Finance Calculator can be used to estimate your fortnightly or monthly loan repayments. You will need to input an estimate of your loan amount, loan term and the interest rate. This rate will depend on your individual profile and credit history. Insurance products can offer protection for both your newly purchased horse float and your loan. Gap insurance and loan protection insurance are products that safeguard your credit rating and your loan. Comprehensive insurance and extended warranty insurance products protect your new horse float. Contact us today to arrange an insurance quote. Compare and save with AAA! Make a quick loan enquiry online today. One of our experienced staff will contact you soon after your lodged your query. Call today on (07) 5493 1222 to speak with one of our horse float finance specialists and experience the AAA difference. While you might be experienced with buying used cars, motorbikes and trucks, do you know what to look for after applying for a horse float loan? These aren’t like other vehicles, and have their own set of unique features that need to be examined for making a purchase. One of the key things to look out for is safety features. These vehicles have their own unique set of options that you might not be able to identify if you haven’t bought a horse float before. Check to see if the trailer has independent brakes and heavy duty tyres to support the weight of one or more animals. It’s also important to ensure it is structurally sound. As with cars and other vehicles, check to see if there’s any rust in the chassis or body before making a purchase. For further tips on buying a horse float follow the link to Good Horsemanship.